Philo Vance, based on the detective character created by S.S. Van Dine, was brought to NBC July 5, 1945, as a summer replacement for The Bob Burns Show. José Ferrer played Vance, following Van Dine’s formula of meticulous clue gathering and last minute revelations. Robert Shaw wrote the scripts, and the series was carried by Burns’ sponsor, Lifebouy. In 1948, a new Philo Vance was produced for syndication by the Frederic Ziv company. Ziv was just bringing transcribed drama to the fore then, and Philo Vance was one of his weaker efforts. It featured Jackson Beck as Vance and George Petrie as Markham, the district attorney. Even the performance by Beck, one of radio’s circle of establised professionals, didn’t save this one. Beck’s voice was the announcer for many years on The Adventures of Superman and Jack Armstrong, the All-American Boy. Of course, these two series were long running broadcast favorites enjoyed by many, young and old alike. Tuning in to KDTH’s Big Broadcast on Sunday nights from 6 to midnight, you might hear Vance and Markham trying to solve a difficult crime. After 18 months of being studied and readied, the Appeals Modernization Act of 2017 finally became official last month. You’ll now have more choice in how disability claim denials will be handled, hopefully with a speedier path through the process. • With a Higher-Level Review, a “more experienced adjudicator” will do a new review of old decisions. The Department of Veterans Affairs hopes to have these claims completed in an average of 125 days. • With a Supplemental Claim, new information and evidence can be submitted. The VA will have a duty to assist in that process. It hopes to have these claims also completed in an average of 125 days. • If you want to appeal to the Board, you’ll have three choices: direct review, evidence or hearing. The VA hopes to complete direct reviews in an average of 365 days. (It used to take three to seven years!) Direct review doesn’t include new evidence; the other two options do. The VA’s budget includes 605 more employees who will establish decision-making centers in Florida and Washington, joining a third center in Washington, D.C.
For decisions received Feb. 19, 2019, or later, go online to www.va.gov/decision-reviews for more information. You have one year from the date of your decision to ask for a review. For decisions received before that date, there’s a different process. See the information at www.va.gov/disability/file-an-appeal. Make note of the phrase “a more experienced adjudicator” mentioned above. If you end up with a lawyer helping you, that phrase — the VA’s own words — might come in handy if you can show that the previous adjudicator wasn’t up to the job. ​you can make your business better. (NAPS)—“Today, nearly 4 million Americans have a service-connected disability. At a time when many employers are struggling to fill positions, hiring veterans with disabilities can boost diversity and inclusion efforts,” explained Jeff Hall, national employment director for DAV (Disabled American Veterans). To address this need, DAV has published “The Veteran Advantage: DAV Guide to Hiring and Retaining Veterans with Disabilities.” This free, comprehensive guide is the result of more than four years of study about what the veteran community contributes to the workforce and how hiring veterans, especially disabled ones, can improve a company’s bottom line. The 36-page publication, which can be downloaded at http://dav.la/jobs, offers best practices and helpful tools for employers. But it goes further, helping to correct misperceptions and inspire more organizations to hire from this talent pool. Content includes statistics about veterans with disabilities, in-depth onboarding and retention strategies, a practical checklist for employers, and explanations of financial incentives, tax credits and other support. There are also free and helpful resources that veterans themselves can take advantage of to help with the transition into a civilian career. For example, DAV holds free career fairs throughout the country for veterans and their spouses. Details are available at http://dav.la/jobs. ​“While our nation’s veterans, particularly those who have been injured in service, are faced with unique challenges, they also offer the skill sets, loyalty and dedication needed to help successfully power America’s economy,” said Hall. “Hi! How are you doing?” The greeting, or one similar to it, is what we often give when we encounter people. We all know it’s a normal way of acknowledging another person’s presence, so no one takes it too seriously, giving any kind of an extended answer. In other words, the other person usually won’t start pouring out their heart to the person offering the greeting. The response is usually something to the effect of “Fine” or “Okay” even if life is far from fine or okay. We encounter people every day in passing and can’t get into an in-depth time of sharing with each one of them – we’d never get through what’s on our schedule for the day. But could we do a little better at treating people as human beings when we meet them in casual encounters? I was prompted to think about how I treat people whom I casually meet after reading an article by Douglas Groothuis in Christianity Today magazine titled, “Learning to Say Hello Again.” He concludes his article by stating, “It seems like a small thing, but it really isn’t. How we greet—or fail to greet—others says much about our character. But in the power of the Holy Spirit, we may practice the presence of people by acknowledging and recognizing them for who they are: creatures made in God’s image. Every person we meet has been made in the image of God; each has an eternal destiny. Groothuis quotes C. S. Lewis in The Weight of Glory, “You have never talked to a mere mortal.” How will we treat these beloved creatures of God, made in His image and whom He loves, even in casual encounters? It’s so easy to treat a cashier in a store or a server in a restaurant as if they’re nothing more than a means to an end, somebody we have to deal with to buy our item or to get our food. Each such person likely has a family for whom they have concerns or with whom they struggle. They may also be dealing with financial concerns or health issues. God has placed us, for the moment, in their world, and we can make a difference, however small it may seem! Eye contact, a smile, using the person’s name, and an appropriate word of affirmation or praise are just a few of the ways we can make even brief encounters with people something special. Beautiful greetings are just one way to make a day more beautiful, for everyone! The Department of Veterans Affairs (VA) released new eligibility rules for the VA pension program (often referred to as “Aid and Attendance”), effective October 18, 2018. The VA pension is a tax-free monthly cash benefit for eligible wartime veterans and surviving spouses. The Aid and Attendance (A&A) pension provides benefits for veterans and surviving spouses who require the regular attendance of another person that is medically necessary, that improve a disabled individual’s functioning, or that prevent, slow, or ease an individual’s functional decline. It also includes individuals who are blind or a patient in a nursing home because of mental or physical incapacity. 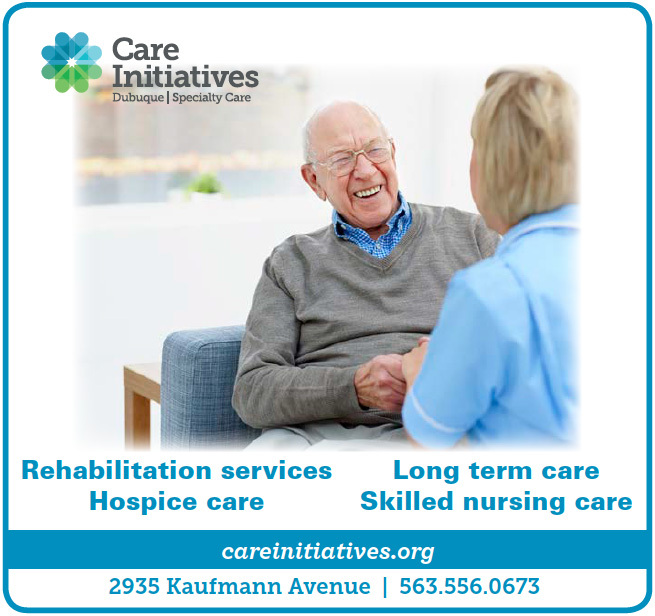 Care in an assisted living facility, or nursing home qualifies. In home care also qualifies if health care or custodial care is provided. Who is Eligible for Aid & Attendance? What is the Monthly Benefit? The A&A Pension can provide up to $1,881 per month to a veteran, $1,210 per month to a surviving spouse, or $2,230 per month to a couple. The VA pension program can be a huge financial benefit to wartime veterans or surviving spouses of wartime veterans. It is a benefit that is often overlooked. With proper planning, eligibility may be attained sooner than without planning. Pearson Bollman Law analyzes your specific medical needs, income and assets to develop a plan in order to qualify you for this well-deserved benefit. This is a narrative of the Brisket and Cabbage and how they got together. One Sunday my friend, Marilyn, gave me a portion of cooked brisket and a half head of cabbage. She wanted me to try the delicious brisket she had cooked for supper. The next day, I cooked the cabbage in water with a bit of salt, then when cooled, I put the cabbage into the refrigerator. I planned to have dinner around 6:00 P. M.
All afternoon, I had been watching the clock, and when it got to be 5:00 P.M., I turned on the oven to preheat to 350. In the mean time I got out a casserole dish and put the cabbage into it with three chunks of real butter. I stirred it around. The cabbage was moist from being cooked so I didn’t need to add anything but the brisket. I made a well in the cabbage and then placed the brisket meat in the center of the cabbage. I then sprinkled a little sugar atop the cabbage (not on the brisket) for flavor-to-taste. I set the timer for 30”. While the brisket and cabbage were being cooked, I ate a salad appetizer that I had prepared earlier in the day. The lettuce, celery, carrots, and cucumbers were in my refrigerator vegetable bin, and the dressing was vinegar and oil, so I had a free salad. My beverage for the evening meal was a tall glass of iced water. When the timer bell went off, I turned off the oven and placed the dish upon the stove. Now, I was ready to scoop out the brisket and cabbage and put them upon a white dinner plate. I was so pleased to be eating such a gourmet meal that hadn’t cost me even a thin dime because of the generosity of my special friends Bob and Marilyn. I’m sure this narrative may cause some readers to LOL (laugh out loud), but it’s a true, genuine bit of reality. Many people do share food with others. Not only because of need but just because they like to share. Have you ever been to a pot luck whereby leftovers are carted off in a number of home bound containers? Everyone has brought a dish to share and when the dinner is over, there are usually some leftovers. I’m glad I have sharing friends. ​Next time you cook a special meal and have some left over, call a friend and ask if they would like a bit of Sunday dinner. You might be surprised who will take your offering. The newly released Can You Ever Forgive Me? is a unique film on several fronts: It’s based on the true story of author Lee Israel. Melissa McCarthy and Richard E. Grant deliver impressive performances. And it serves as a reminder that real life is often much stranger than fiction. Lee makes a living writing biographies of celebrities. When her books are no longer selling, her publisher tells Lee to find a different way to make a living. This is devastating news to Lee because writing is the only thing she knows how to do. She has to find something soon because her beloved cat is ill and she is behind on her rent. Using her ability to impersonate different writing styles, a vintage typewriter, and signature tracing, she is able to make fake letters of famous celebrities and sell them to collectors. She is enjoying a lucrative income but the long of the law is about to come crashing down. Lee Israel is not the easiest person to like. She is a heavy drinker, has a foul mouth, and is not a people person. Her lone friend, Jack Hock (Richard Grant), has a personality that fits right in with Lee’s. It warms the heart to see her transition into a kind and caring person. Her humanity was always there; it was just laying dormant under the surface. This film is rated R and is available at most Redbox locations.